As a force sensitive, you will start with a level based on your character's training, conversion from the older 2.0 Force system, or based on peer review. Your force level is what determines your abilities, how many force points you get per day, and where you are in your path as a force user. For new force users who do not know they have the force. You start at level 1. Force users who know about it start at level 3, and force users who are slightly trained or learned on their own start at level 5. Padawans start at 10, Knights at 20, and masters at 30. Please note when starting a force sensitive. It is rare to start out at a night or master level for new characters. When in doubt, consult your peers about your level. When creating a force sensitive character. You are allowed to pick powers depending on how well you are trained. If you are not trained then you don't have any powers. Barely trained you will get three powers in the Force Sensitive level. If you are a padawan, you will get three powers in the padawan bracket and four powers in the force sensitive bracket. If you are a knight, you get three at night, four at padawan, and six at force sensitive. Master gets the same as Knight, but instead a master gets all of the force sensitive powers. After training for a while you will reach a force level cap. When you reach this cap you can gain force levels but you do not roll each day at your level. Instead you roll at your force Cap. When you reach level 30 you have reached the force cap. 30 ~ Jedi Master / Chief Inquisitor / Dark Jedi Master. As a student of the force, you are able to level up your force level by meditating on the force, training, and experiences. As you grow stronger in the force, your teachings, and experiences will grow harder too, making it harder to learn. There are three ways to gain levels: Meditation, Lessons, and Holocrons. You can meditate on the force, your lessons, and experiences. As you meditate you level up your force, but as you grow the requirements grow harder to level up. Meditation also uses up some of your force points. As a student of the force you can gain force powers though lessons. There are two types of lessons: Active, or enlightened lessons, and Passive lessons. You are also required to have a teacher who is a higher bracket than you to gain lesson points. If you do not have a teacher, you do not gain lesson points. Passive lessons also stop when you reach the 20 – 30 levels in your training. The second form of lessons are Active or enlightened lessons. Enlightened lessons are lessons between a student, and someone who has gained the rank of Jedi Master, Dark Jedi Master, or Chief Inquisitor. Anyone under the Master level can level up though enlightened lessons, but the amount of lessons required to level increases as the student gains levels. Active lessons are lessons done by anyone above you in a rank, and is not a master or a class with more than one student being taught by a master, or a jedi knight. Active lessons work like Enlightened lessons, but require more lessons to level up due to the quality of the lessons, but Active lessons do not require the use of a master's level to help with the teaching. Force points are a collection of points you have to use the force. Every power has a force point cost that use up your force point pool. This is to simulate the drain the force has on your body when using powers. To gain force points. Once per real life day, you roll one D6 and multiply the number you get by your force level. That's how many force points you add to your pool for that day. Your force point pool adds up over time. If you gain force points, and don't use them. Then they roll over to the next day until you hit the force pool cap. The force pool cap is based on what bracket you are in for your level. 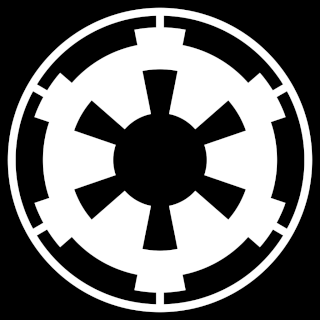 Force powers are the abilities gifted to the force user by the force. These powers can range from basic lifts and healing to powerful attacks with lightning, and the mind. There are three ways to gain force powers: Lessons, Meditation, and Holocrons. The first way is lessons. These are IC lessons that have you learning a new power. You can only learn a new power from someone of your bracket, or higher. Your teacher will have to explain the power, and show it to you first before you can start trying to use the ability. After you pass the first roll to use the ability, you now have access the ability but more training will be needed before you can use it every time. The second way is meditation. You can use your meditation to learn force power instead of using it to level up. When learning on your own it will take more time to learn a power before you can fully use it. The amount of time is based on your experience / bracket. The third way to learn new force powers is though holocrons. When you find a holocron at an event, you are allowed to access it once. When you access the holocron you will roll a D100. This D100 will tell you what you take from the holocron. The higher the roll, the higher the power bracket that you can get a power from, but you can only learn powers up to your bracket. So it is best to use holocrons at higher levels. Powers learned from holocrons also take less practice before they can be used 100% of the time. 25-49: Padawan / Force Adept / Apprentice Inquisitor Powers. 50-74: Jedi Knight / Dark Jedi / Inquisitor Powers. 75-94: Jedi Master / Chief Inquisitor / Dark Jedi Master Powers. 95-100: Jedi Master / Chief Inquisitor / Dark Jedi Master Powers or Level up. After learning new powers, you must practice the new power before you get the ability to use the power 100% of the time. To do this you must practice the powers by using the power, and rolling a D20. Depending on the power you are learning is how high you have to roll. You have to pass your roll six times to fully learn the power. Powers learned from holocrons only have to pass three times. Force sensitive powers: Roll 12 or higher to use the power. Padawan / Force Adept / Apprentice Inquisitor Powers: Roll 14 or higher to use the power. Jedi Knight / Dark Jedi / Inquisitor Powers: Roll 16 or higher to use the power. Jedi Master / Chief Inquisitor / Dark Jedi Master Powers: Roll 18 or higher to use the power. The following are the powers, grouped by alignment (more on that later) and their cost to use. Force Horror militant and ordered mind. Force Insanity high intellect mind. When you use a power with an alignment, roll a D6. You gain that many points towards that alignment. You start with 0 (Neutral) and use force lightning, and gain 6 points towards the darkside. You now have 6 (dark). If you use a healing power and gain 3 points to the light, you'd have 3 (dark). If you used another healing and gained 4 points to the light, you'd have 1 (Light). The goal is to be as close to neutral as possible. At 10 too light, you'll become slightly stoic. At 10 too dark, you'll be a bit more emotional. It continues as a gradient until 100 on either side, where you become completely mindless or unable to think for the intense emotions. The Alignment system is optional. During intense emotions for darkside powers, or intense concentration and focus for lightside powers, you lose the ability to use the other alignment's powers, but half the alignment you're channeling’s force point cost, while also rolling a D20 instead of a D6 for the alignment gain. THIS DOES NOT WORK ON NEUTRAL POWERS!